Modern enterprises are built on networks. The need for new security approaches has never been more urgent as organizations face evolving and increasingly sophisticated threats. 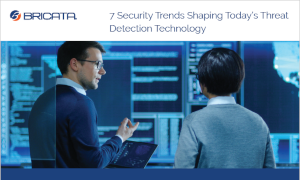 It is critical to implement detection capabilities that evaluate potential threats from a wide variety of perspectives – and continuously improves to match the threats. To understand the tools that can truly provide comprehensive network protection, you need to understand the underlying trends. Download this eBook to learn about these trends to make better decisions in choosing network security tools.